Give your clubs an MOT today! Struck for Christmas present ideas? Are you a Callaway player? Want to develop your putting? Want to have the competitive edge? 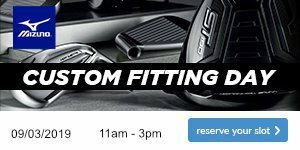 Mizuno Fitting Day - Don’t miss out! Have you got an old trolley? Are you with the times? Have you traded-in your old golf bag yet? New arrival coming very soon! Christmas shopping couldn't be anymore easier! Have you been fitted on our GC2 Launch Monitor? Here's the irons that won. Why not come to our 18 plus group on Monday? Do you think it's time to get yourself some new wedges? Struggling with your iron distances? Think you can take us on?.. Do you know Stanton's best putter? 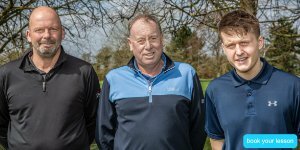 Could you take on your captain and pro? We've made ours… What's yours? Can anyone knock Phil of his perch? Black Friday, Saturday and Sunday coming to Stanton! Well this just takes the Mick…. We're getting prepared but are you ready? Stanton Scratch top of the pops in division 2! Could Britten retain his best putter title? Don't miss your chance to join our Cross Country Comp this Friday! Stanton on the Wolds GC: That ball you've just found... leave it alone! Stanton on the Wolds GC: How can we help our stars? It's decision time... long iron or hybrid? Sign up for our PING G30 demo day!! Are you coming down to the PING demo day today? 12pm Start.